St Ives holidays are always special and we have been offering luxury self catering holidays in the St Ives area of West Cornwall for many years, we are renowned for providing the discerning visitor a consistently high standard of 4 star and 5 star quality holiday properties. For those visiting these delightful parts of Cornwall, we offer a choice of location. 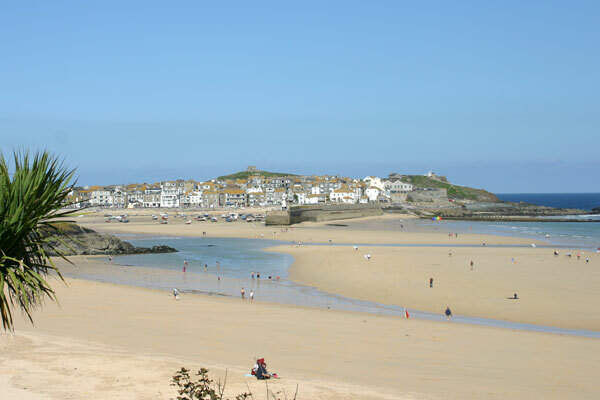 St Ives is the jewel in the crown of Cornwall, it still retains the charm and character with it's cobbled streets, working harbour and stunning beaches and for your St Ives holiday we can offer self catering properties that have been carefully selected to ensure that they meet the expectations of our guests. With onsite parking and centrally located for convenience to St Ives town, guests can enjoy the beaches, galleries and restaurants just a short stroll away. Carbis Bay is a hidden treasure waiting to be discovered, with its own Blue Flag beach, the luxury self catering holidaymaker can enjoy the superb views across St Ives Bay, one of "the most beautiful bays in the world". The South West Coast Path and one of the most scenic rail journeys in the UK, pass through Carbis Bay linking St Ives in one direction and Porth Kidney, Lelant and Hayle in the other direction. We can offer a wide selection of contemporary apartments, villas, holiday homes for those luxury St Ives holidays, each has their own individual character, all are consistent in the standard of accommodation and the facilities on offer.